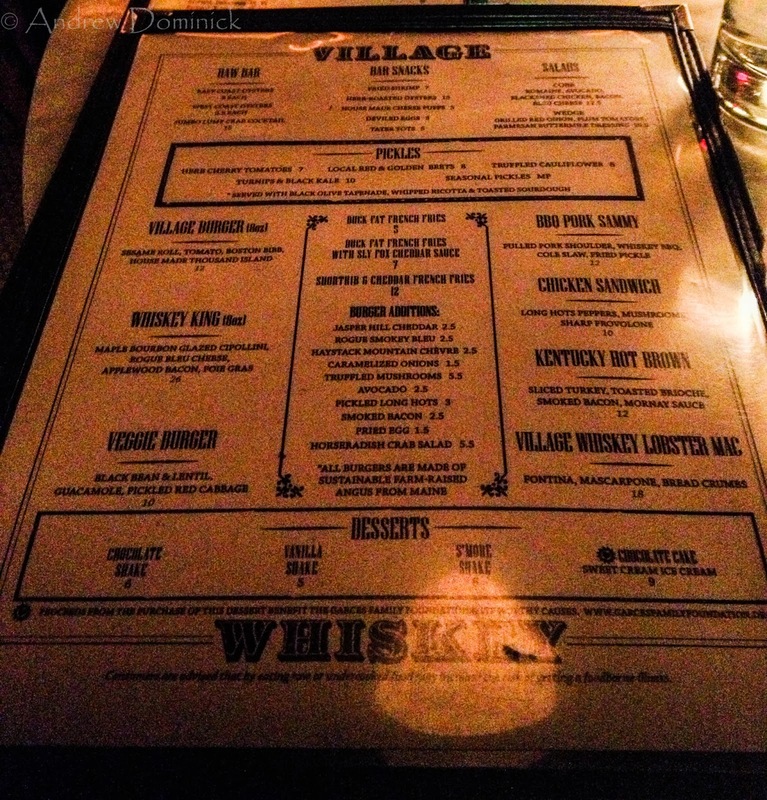 Lost Review: Conquering the Kentucky Hot Brown and More at Village Whiskey – Reviews + grub knowledge from CT, NY, and beyond. I want to go back here. Now. Occasionally a review gets lost in the fray. In this case this one got lost due to really grainy photos that are now fixed thanks to my purchase of Lightroom. It truly pissed me off because I wanted to brag about a true legend of the food world…The Kentucky Hot Brown. A Kentucky Hot Brown, or just a Hot Brown if you’re in Kentucky, was created at the Brown Hotel in Louisville and is, in short, an open-faced sandwich. The “sandwich” starts out with bread that is topped with sliced turkey, bacon and tomato, then it is completely covered in Mornay sauce and broiled. If you already know what a Hot Brown is, you’ve probably wanted one for some time. That statement echoes the way I felt and I constantly saw some of my favorite Food Network chefs make them on TV which made the hunger grow more intensely. Thanks for that, Bobby Flay. This yearning I had was never satisfied. Hot Browns are tough to find in Connecticut so I just kept thinking, “Well, if I see one on a menu at a reputable restaurant, no doubt I’ll order it.” The Hot Brown became this thing that I had to have. For the Food Dudes’ annual Philly trip, Rob and I sat down without Damion (this was partially a bachelor party) and started to iron out the Philly food destinations. The obvious: the obligatory cheesesteaks. But besides the cheesesteaks we got into the Philly dining scene a bit, so we always make sure we hit up a Marc Vetri restaurant but we badly needed to try any one of the Jose Garces spots. Garces, who has been on Iron Chef and won The Next Iron Chef, owns SEVEN restaurants in Philly, including a food truck. I scanned the menus to each of his restaurants and when I landed on the site for Village Whiskey I knew this was THE place because right there on the bottom portion of the menu was the Kentucky Hot Brown. 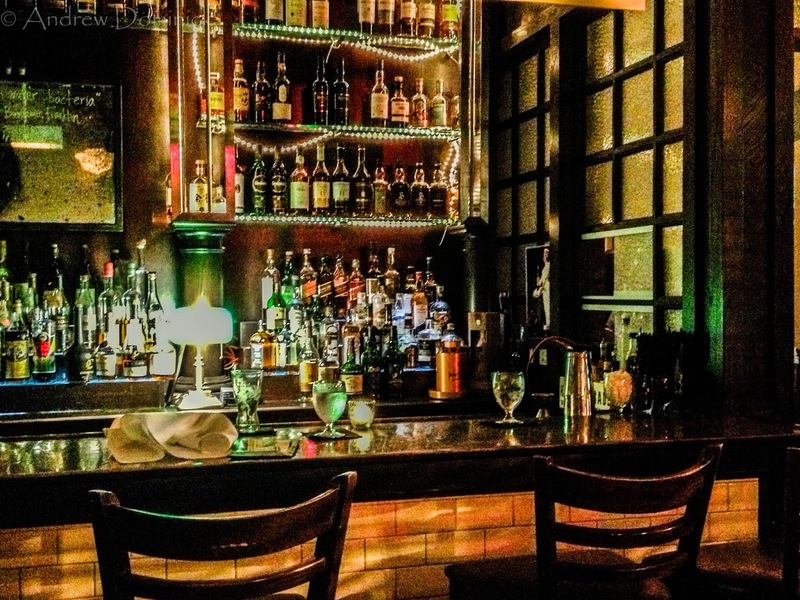 Aside from the lure of the Hot Brown, Village Whiskey is known for an eclectic gastropub. Snacks like the house-made cheese puffs and their French fry creations are original and hand-spun milkshakes for dessert prove that this place is simply awesome. VW even has a burger that gets mad props called the Whiskey King; an eight ounce beef burger with maple glazed cipolini onions, Rogue bleu cheese, applewood smoked bacon and foie gras. 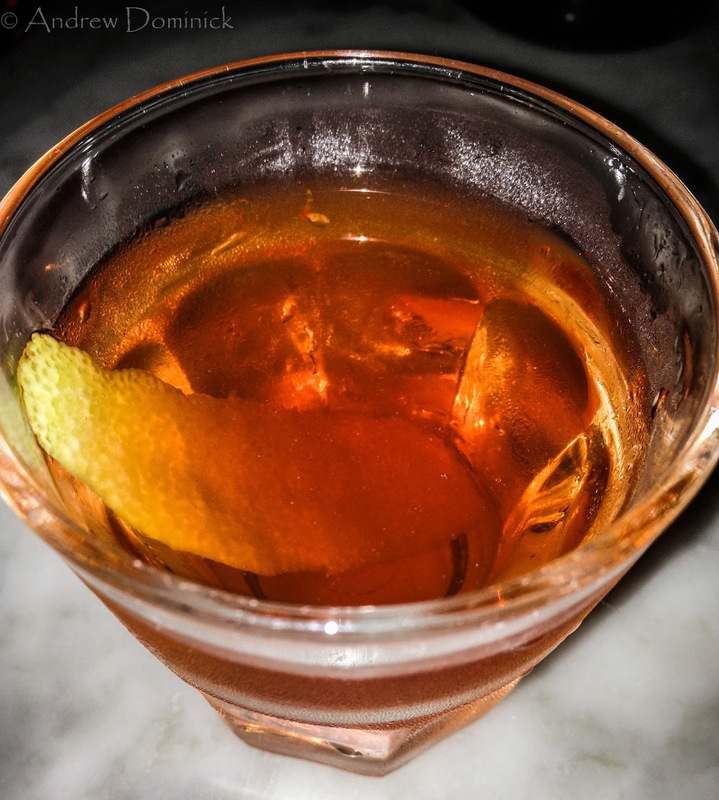 VW’s Sazerac; rye whiskey, Peychaud Bitters, Demerara syrup, absinthe rinse. Damion found out he became an uncle on this trip! He went full out baller and bought 2oz. of Johnnie Walker Blue. 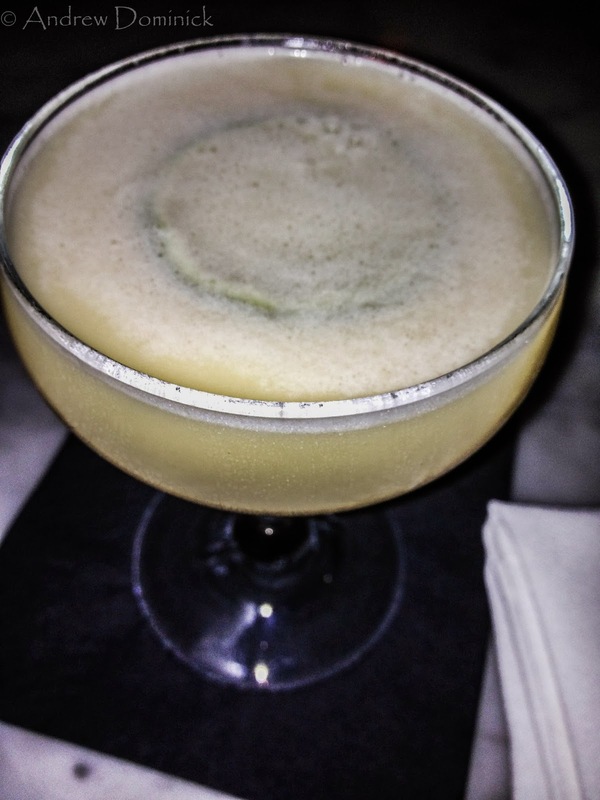 I went with a Repeal drink called the One Legged Man; bourbon, Coco Lopez, pineapple, lime, Allspice Dram. Village Whiskey, as you can imagine, boasts a hand crafted cocktail menu with Prohibition and Prohibition Repeal style drinks. 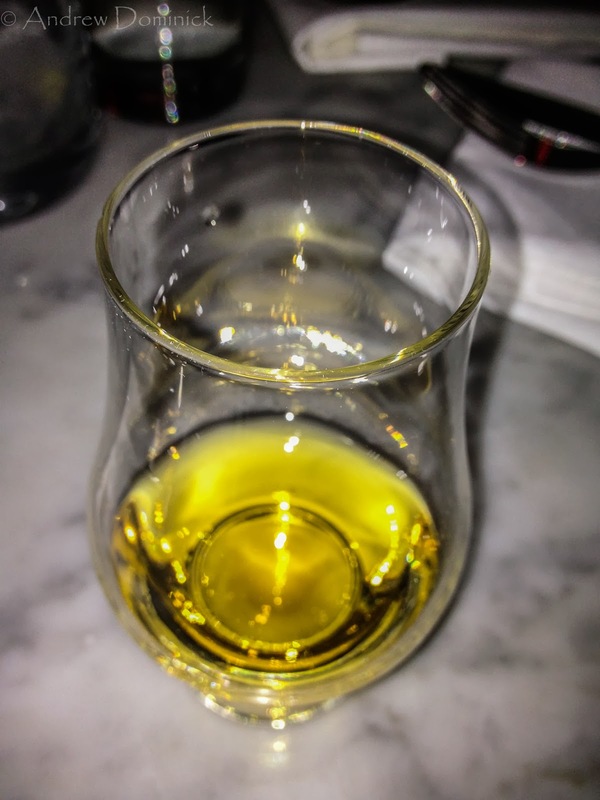 And of course, they have a ridiculously large whiskey selection! We started our night at Village Whiskey with cocktails, the not pictured but habit forming cheese puffs, deviled eggs, and the best fries I’ve had anywhere… Duck Fat, Shortrib & Cheddar French Fries. THIS is what you want during a night of drinking or directly after when you’re alone and can smack your lips on every ounce of thinly sliced short rib and you can swirl the fries and soak up every drop of melted cheddar. I obsessively think about them to this day. One deviled egg each. I wanted a dozen. So, so good. Forget drunk texting a girl at the end of the night. Give me an order of these! When it came time to select our entrées it was a no brainer. Rob was just as excited for the Hot Brown as I was, and once we told Damion about it, he was all in too. Village Whiskey’s version was mostly classic except for a few things. Dare I call them improvements on my first Hot Brown experience? I’ll go there. VW used thick cut brioche and instead of sliced tomato, they used roasted yellow and red grape tomatoes. In all its drool-inducing glory. Oh. My. God. So now with the fresh turkey piled high, the bread slightly toasty, a whole lot of creamy, cheesy Mornay sauce taking up the plate, and crispy bacon (even with the sauce! ), the three of us dug in. We didn’t look at each other, we did not speak a word. We ate so fast and inhaled every drop of sauce that we didn’t even get to try a milkshake. We can’t wait for the sequel, Village Whiskey. And that, my friends, is all you need to know for now. Hot Browns are sooo good…and any place that has deviled eggs AND hot browns on the menu is my kind of place. Philly has some amazing places to eat. One of the reasons why I go every year. It'll be hard not to go here again, but even if I don't I will go to another Jose Garces restaurant.